The Masters Program organizes educational materials along clinical pathways into discrete blocks of content which could be accessed by a surgeon attending the SAGES annual meeting or by logging into the online SAGES University (Fig. 1.1) . The SAGES Masters Program currently has eight pathways including Acute Care, Biliary, Bariatrics, Colon, Foregut, Hernia, Flex Endoscopy, and Robotic Surgery (Fig. 1.2). Each pathway is divided into three levels of targeted performance: competency, proficiency, and mastery (Fig. 1.3). The levels originate from the Dreyfus model of skill acquisition , which has five stages: novice, advanced beginner, competency, proficiency, and expertise. The SAGES MASTERS Program is based on the three more advanced stages of skill acquisition: competency, proficiency, and expertise. Competency is defined as what a graduating general surgery chief resident or MIS fellow should be able to achieve; proficiency is what a surgeon approximately 3 years out from training should be able to accomplish; and mastery is what more experienced surgeons should be able to accomplish after several years in practice. Mastery is applicable to SAGES surgeons seeking in-depth knowledge in a pathway, including the following: areas of controversy, outcomes, best practice, and ability to mentor colleagues. Over time, with the utilization of coaching and participation in SAGES courses, this level should be obtainable by the majority of SAGES members. 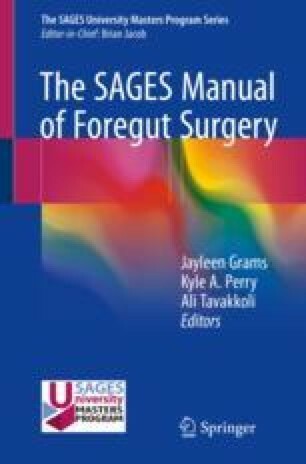 This edition of the SAGES Manual – Foregut Surgery – aligns with the current version of the new SAGES University MASTERS Program Foregut Surgery Pathway (Table 1.1).